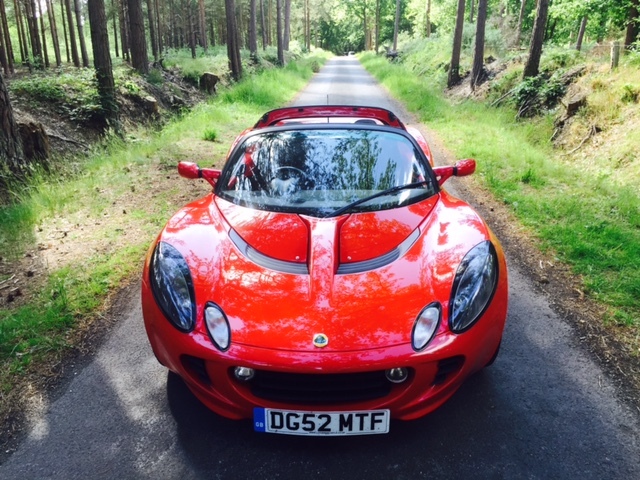 Ever since I put my Lotus Elise up for sale people have been asking why I'm selling it. I reckon I've fielded fifty tweets and questions that always say the same thing, "You're selling the Lotus? I thought you liked it?" I DO BLOODY LIKE IT! But I'm a petrolhead and I'm fickle and impulsive and prone to change my mind every few months. Or days. Or minutes. I bought the Elise because my garage had space, I fancied the idea of a really quick, light sportscar and it represented a solid investment. The car I bought was in great condition and had a perfect service history and it was priced well. I couldn't lose. The price would rise over three years and then I'd sell it. That was spring 2015. Then in November 2015 I was made redundant. This isn't a sob story. I got a new job fairly quickly but it did remind me that as well as the regular as clockwork lease payments for my 2015 Volvo XC60 I was paying a not insubstantial monthly amount for the Elise. That made me think about money and monthly repayments and priorities and fripperies and that kind of thing. And besides I'd spent a chunk of my redundancy payment on a brand new Triumph Tiger 800 XCx, which arrives in a couple of weeks. I love motorcycles. I like cars a lot but I've never loved one. The Elise is a great car but it does have one major flaw. It only has two seats. That means I cannot take both my son and the dog anywhere at the same time. Now you might say, "You knew that when you bought it!" Well, yes, I did. But I thought I could live with the compromise. But I cannot. I am 44 and at my age you are not wiling to compromise - where possible. Also, I want my garage back. I want my motorbike to have lots of space to itself and I want space for more motorcycles in the future. So in short I like motorcycles more than cars, I don't want to pay out as much cash, I want more seats and I just changed my mind because I'm like that. Once it's sold I'll probably buy a Mini Cooper S for a couple of grand which means I can own it outright. And I'll never buy a two seat car again. I did enjoy the Lotus though. It was a cracking car. For a few months.